Oh to live care free (with all expenses paid), as a Public Servant! Imagine the outcry if Republicans did this. The event? The Congressional Hispanic Caucus’s “BOLD PAC” winter retreat. “We are excited for you to join us for CHC BOLD PAC’s 2019 Winter Retreat in San Juan, Puerto Rico! Each year, this retreat serves as a way for our CHC BOLD PAC Members and friends in the D.C. community to come together to escape the cold and discuss our shared priorities for a stronger and more prosperous country,” read a memo regarding the trip. 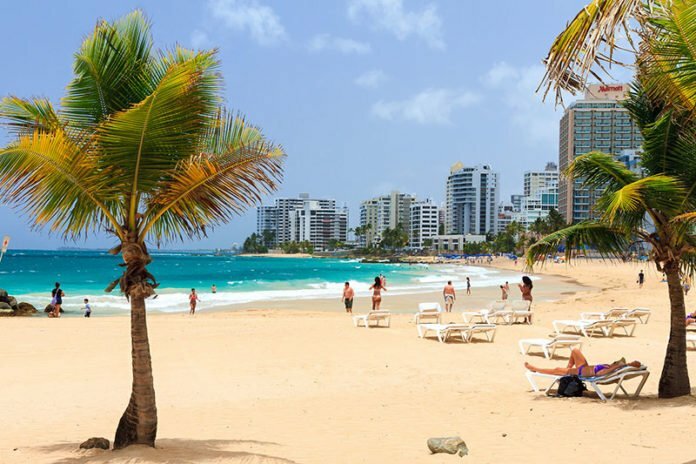 “This year, BOLD PAC has chosen to host our winter retreat in Puerto Rico to send a strong message that there is still much work to be done in the aftermath of Hurricane Maria,” the memo added. On the agenda, Democratic politicians and their lobbyist friends will attend a roundtable to discuss the cleanup after Hurricane Maria… but they’ll also have a welcome reception and pool party, a cocktail hour and a seated dinner, and a showing of “Hamilton,” followed by a party with the cast. Members and their families will also have plenty of free time to enjoy the sun and the beach. Meanwhile, the U.S. government has entered its longest shutdown in history, with neither side seemingly willing to come to the table.